At one point in history, every nation apparently wanted to have origins tied to Troy. I suppose they wanted to have a link to the classics, but for some reason preferred the defeated Trojans to the victorious Greeks. Hey, I can understand rooting for the underdog. Anyway, as John Kennedy mentioned in the comments on this post, the British have claimed a founder who was Trojan, or more accurately Trojan-Italian. This was Brutus, not the guy who stabbed Julius Caesar, or for that matter Popeye’s enemy. It’s actually a family name used by the Junius clan, with Lucius Junius Brutus being traditionally considered the founder of the Roman Republic. The Brutus who founded Britain would have lived long before that, though, being a grandson of Aeneas. 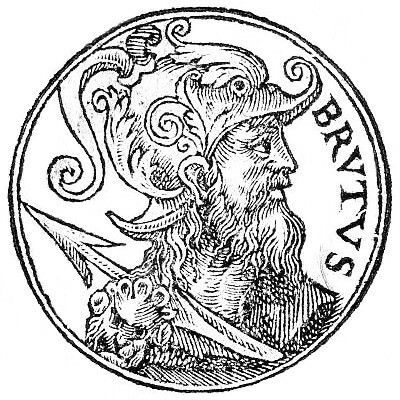 Nennius’ ninth-century Historia Britonum, the first known work to mention Brutus, claims that he lived around the time Eli was the leader of Israel. This presumably would have been in the twelfth century BC or thereabouts. Of course, we don’t actually have any knowledge of what Britain would have been like at this point, although Stonehenge was already standing. Interestingly, Wikipedia claims, “There is evidence of a relatively large scale disruption of cultural patterns which some scholars think may indicate an invasion (or at least a migration) into Southern Great Britain around the 12th century BC.” I’m having trouble finding support for this, but it would be interesting if there actually IS some historical basis for the Brutus theory. It is known that this was when the Urnfield culture dominated in Britain, having that name because the ashes of the dead were placed in urns that were buried in fields. Geoffrey of Monmouth expanded on the story of Brutus in his Historia Regum Britanniae, and it’s his account that remains the best known, although others would add even more details to the legend. The story of Brutus has it that his mother died in childbirth and he accidentally killed his father with an arrow. As punishment for the latter, he was banished from Italy. He lived in Greece for a little while, successfully taking King Pandrasus prisoner and being given the hand of his daughter Imogen in marriage. Brutus then sailed off to the west with a crew of Trojans who had been kept as slaves by the Greeks, and had adventures in Africa and Gaul before arriving in Britain. It’s said that he journeyed there after a vision he had in a dream while sleeping at an abandoned temple of Diana on a deserted island. 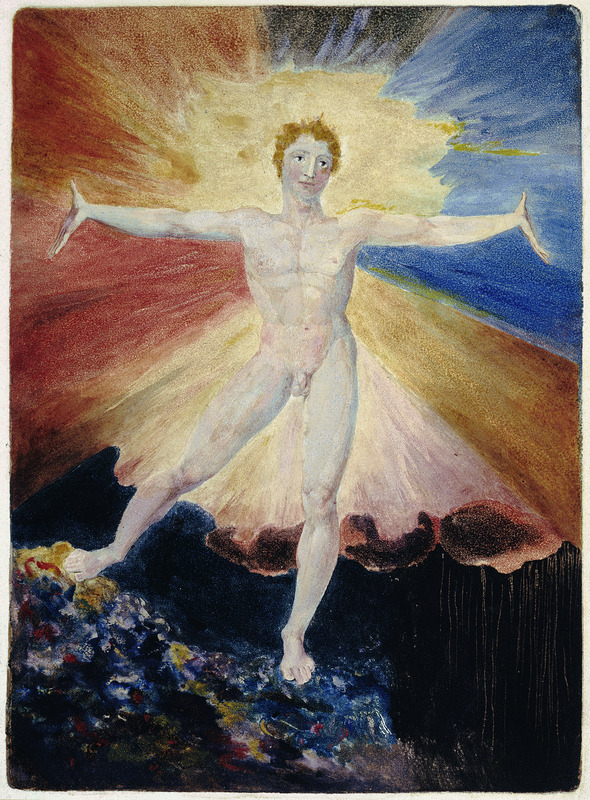 Britain was at that time called Albion, after a giant who was a son of Neptune and had been killed by Hercules. While this particular giant was no longer there, several more were still living on the island, but Brutus and his allies managed to kill them all. Brutus then named the island and its people after himself, and founded a capital city that he called New Troy, which later became London. In 1857, the Reverend Richard Williams Morgan proposed that the London Stone, a block of limestone in the city with unknown origins, was brought there by Brutus. 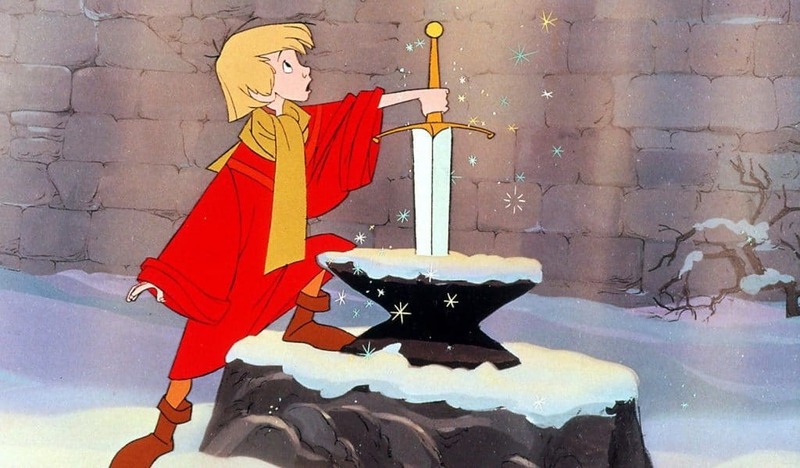 It’s also been thought that this is stone from which King Arthur pulled the sword. There’s also a stone at Totnes in Devon called the Brutus Stone, said to commemorate where the legendary founder first landed. This entry was posted in British, Bronze Age, England, Greek Mythology, History, Mythology, Roman and tagged aeneas, albion, brutus, brutus of britain, brutus stone, diana, eli, geoffrey of monmouth, giants, hercules, historia britonum, historia regum britanniae, imogen, julius caesar, king arthur, king pandrasus, london stone, lucius junius brutus, nennius, neptune, reverend richard williams morgan, stonehenge, trojan war, troy, urnfield culture. Bookmark the permalink. Part of the point was that it was a long-standing Christian notion (though not ever official doctrine, as far as I know) that the Roman Empire was a vital part of God’s plan, alongside the Church. (Sort of like the First and Second Foundations in Asimov.) That’s why Charlemagne was officially crowned Emperor by the Pope, and it is the root of most of Dante’s political thinking. It’s closely related to Henry VIII’s justification of his break with Rome, and it is the reason for the Russian Orthodox Church’s notion that, Old Rome and New Rome (Constantinople) having fallen, Moscow has become the “Third Rome” (this is ultimately behind some of Putin’s policies even today). So for Western nations that were not part of the Holy Roman Empire, such as England and France, an equally-Roman/Trojan origin myth was a very important thing to have. It made a nation respectable. The focus on the Roman Empire in Christianity probably has something to do with its appearance in Revelation. A certain reading of the book suggests that Rome has to be a major power in order for Jesus to come back, sort of like how some people think the Temple in Jerusalem being rebuilt is a necessary step for the Second Coming to occur. Story writing to make oneself look good:) The importance of linking up with ancient Roman/Trojan culture (as well as Biblical figures) is present in Irish literature as well. I was new to the British origin myth, but it seems rather similar to a somewhat apologetic tale of Wales/Britain losing their independence in the 4th century, ‘The dream of Macsen Wledig’: The Roman emperor (described in all the usual flattering terms signifying a good ruler) Macsen has dreams of the most beautiful country in the world (Britain) and a particular lady that dwells there. He is ‘sick with love’ until he gets her – which he does, eventually. While he is in Britain, an usurper takes Rome, but the Welsh lady’s brothers follow Macsen back and, basically, give Macsen his kingdom back – the conquered become the heroes.